Get ready for a new year with new color! 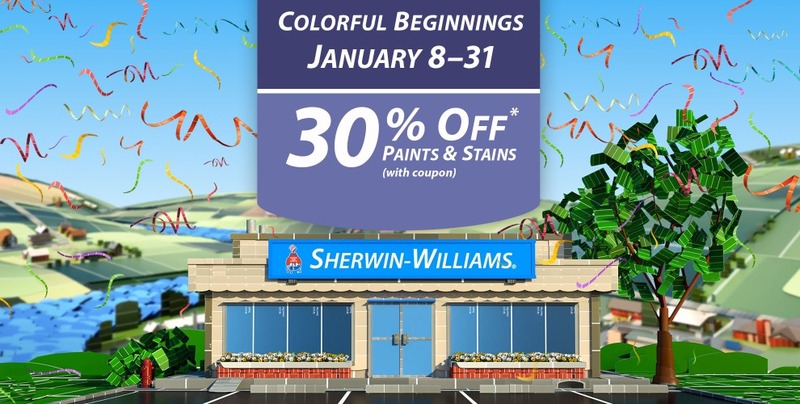 From now through the end of January 2015, you can get 30% off Sherwin Williams paints and stains with the coupon found here. The same coupon will also save you 15% on painting supplies. What are you planning to paint this year? And, let us know what color you chose, too!